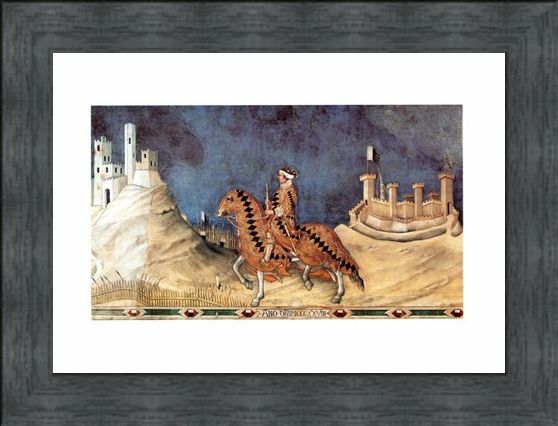 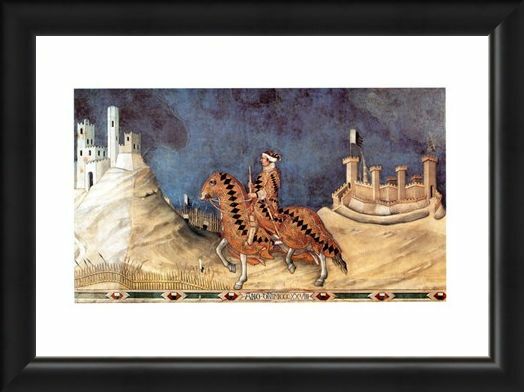 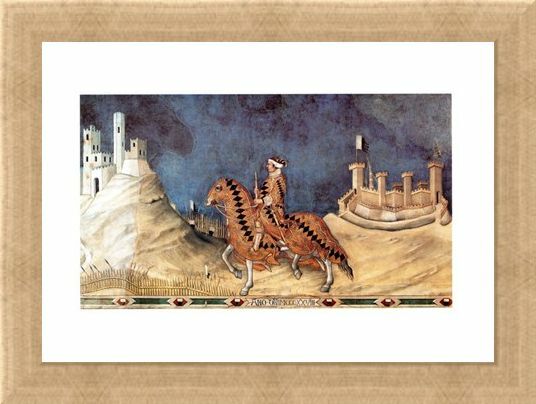 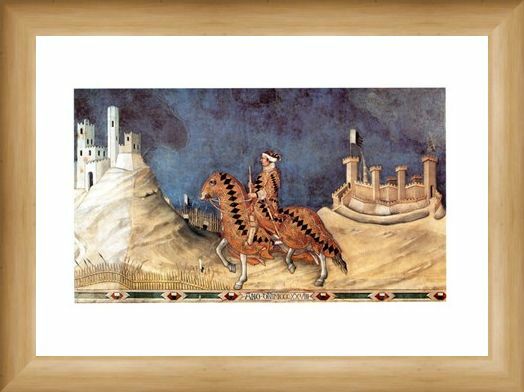 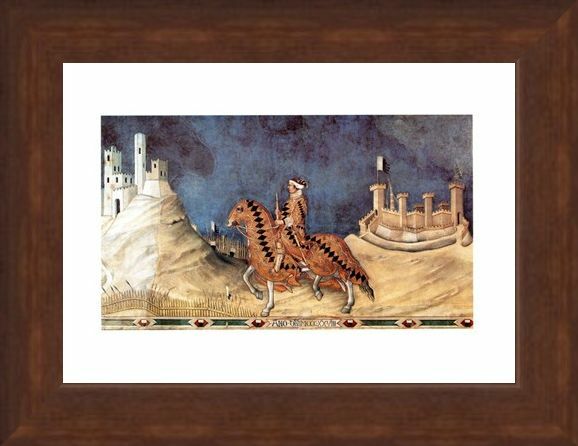 Mini Art Print: This impressive medieval looking art print features Guido Riccio Da Fogliano upon his trusty steed. 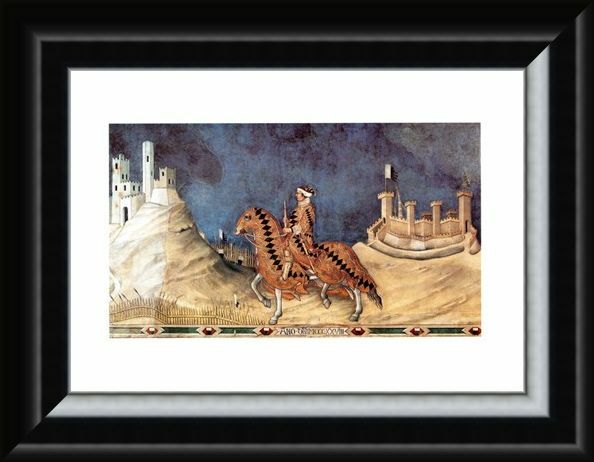 This handsome looking pair appear to be off on a mission to deliver an important message to the castle, as the rider has a scroll in hand. 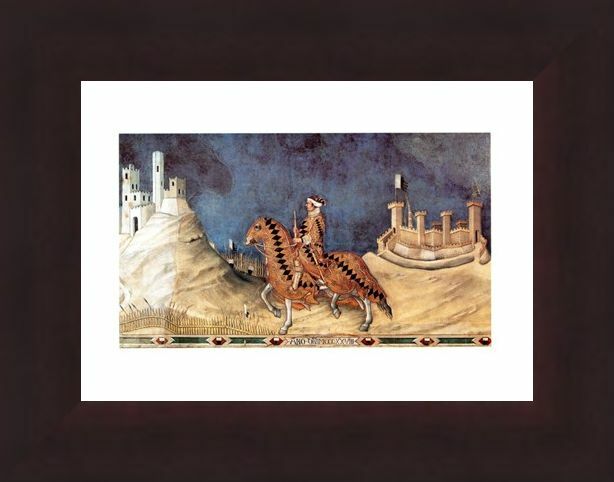 The artist, Simone Martini was born in Italy and was said to be greatly influenced by the gothic style of painting in the 1300's. 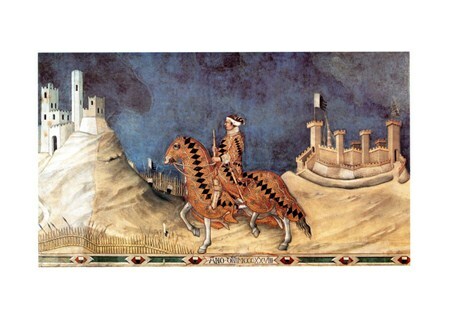 His paintings have been commended for their detail and wonderful use of colour. 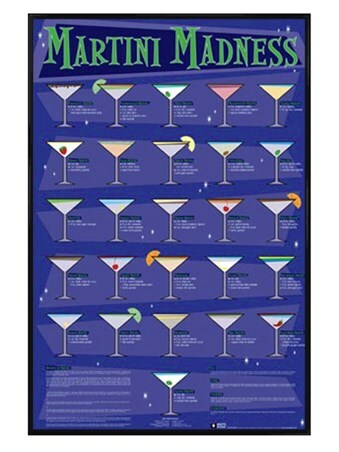 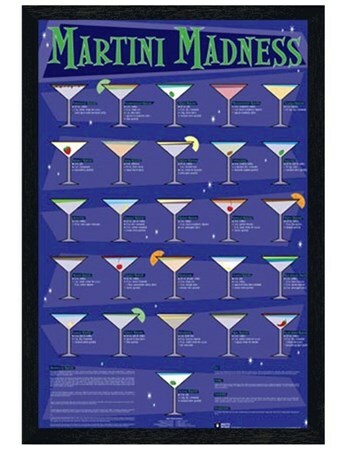 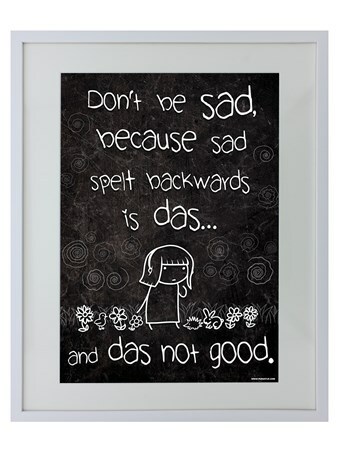 So if you are intrigued by this magnificent painting, then why not hang this impressive art print on your wall, and bring some historic art to your room. High quality, framed Guido Riccio Da Fogliano, Simone Martini mini print with a bespoke frame by our custom framing service.